Back then, if you had a good marketing story, you could literally take over the world, figuratively speaking, or parts of it. Anheuser-Busch’s CEO at the time was August Busch III, who had mastered the art of marketing persuasion. “The Third” as he was fondly called ascended the throne of the Busch’s beer empire in 1975, having wrestled the company away from his father. He spent billions of dollars orchestrating a carefully crafted advertising campaign which transformed an ordinary beer that is Budweiser into the King of Beers. By the late 90s the company’s shares had tripled, moving it to capture 50% of the world’s largest beer market and turned Budweiser to an iconic brand. – a quintessential American drink. By 2010, Budweiser was ranked he 16th most valuable brand in the world, ahead of McDonald’s, Disney and Apple. But by then, Anheuser Busch had been acquired by InBev, a Belgian-Brazilian brewer, in a 2008 deal worth $53bn, breaching the defenses of what at a time was thought to be unthinkable. According to the authors of the story, August Busch III (“The Third”) fell complacent and failed to see the wind of change taking place in the beer world. By the 1990s, the power had moved to Wall Street. The days of the marketing gurus were long gone. By then, if you were seeking global dominance in an industry, you needed the help of the financiers on Wall Street without which you were likely to fall prey to hungrier firms who knew how to appease shareholders by boosting a company’s balance sheet. 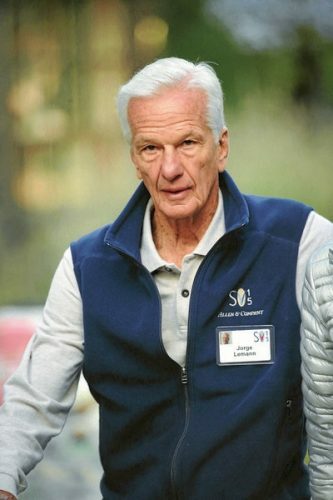 Jorge Paulo Lemann, the 77-year old Harvard-trained Brazilian, who founded private equity firm 3G Capital oversaw one of such hungrier firms. “I was looking at Latin America and who was the richest guy in Venezuela, a brewer; The richest guy in Colombia, a brewer; the richest in Argentina, a brewer,” said Lemann. The rest of the statement, says Verstl and Faltermeier, is probably more significant. “These guys couldn’t all be geniuses. It’s the business that must be good,” added teetotaler Lemann. So he set out to build the Coca-Cola of beer, “a brewing company to dominate the world, by taking over stable focused businesses with high margins and market shares,” says the book authors. August Busch III felt the conviction that being the dominant player (by far) in the most profitable beer market in the world – the United States, was enough to secure Anheuser-Busch’s number one status forever. Because of his conviction, Anheuser-Busch’s discussions with other major beer groups (including SABMiller) never got off the ground before any meaningful progress could be made. With the exception of a 50% stake it took in Mexican brewer, Gruppo Modelo, Anheuser-Busch did not make any other international investments, except for establishment of breweries in China. Meanwhile, Jorge Lemann and his lieutenants were on the march, buying their way to the top of the beer world, and supported by enthusiastic funders. From Brazil’s Brahma in 1987, when it was in the 10th place ranking, Mr. Lemann and his group catapulted to number three, after buying Antartica to create AmBev in 1999. In 2004 AmBev “merged” with Belgium’s Interbrew to create InBev – a transaction that would solidify Lemann’s Brazilian team’s credentials and gave them control of the merged entity. By 2008, InBev had gulped up Anheuser-Busch to create AB InBev. From then on, the clock was ticking for SABMiller. According to the authors, the job of SABMiller’s top executives then became to secure the best exit price possible.